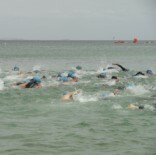 Victoira has a fantastic culture of Open Water Swim races during the summer months. Join this exciting new small group swim tour. We will compete in 3 of the best open water swim competitions, swim the Pier to Pub course and rub shoulders with some of Victoria's best swimmers. Experienced coach on board to take pool sessions and give tips on how to tackle our open water. 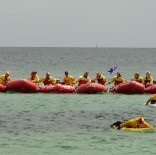 Experience our great hospitality, swim the iconic Pier to Pub and Pier course with trained Aussie life guards and swim coaches. A different beach and swim every day. 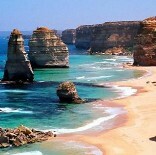 Travel the famous Great Ocean Road and sample our best wines on the Mornignton Peninsula. 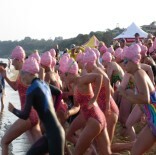 Compete in the MMAD (Mt Martha Australia Day) swim then return to Melbourne to watch the fireworks display. You lso have the opportunity to attend the Australian Open Tennis. Transfer to your accommodation in South Yarra. After check-in head to Prahran Pool for a coached swim session. After the swim we will head to one of the popular cafe's for a well deserved lunch. Afternoon head back to Melbourne . Remainer of day at leisure. Free day to explore the delights of Melbourne. Day trip along the iconic Great Ocean Road. We will stop for photo opportunities. 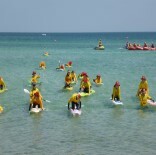 We will arrive at Lorne late morning to swim the "Pier to Pub". 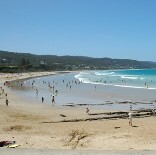 After the swim we will head to the Lorne Hotel (Pub) for lunch. Our journey along the Great Ocean Road will continue before heading "home" to Melbourne. With its fresh sea air, white beaches and buzzing arts community, the nearby Otways and its relaxed Mediterranean atmosphere, Lorne has been attracting eager holiday makers for more than a century. This morning we will head to the Royal Brighton Yacht Club, home of the Brighton Icebergers. We will swim with the Icebergers then back to the club for a hearty breakfast. Thu 26 January - Australia Day! While Mount Martha offers only a small commercial centre in Lochiel Avenue, it is an ideal destination for those visitors seeking a scenic and less commercial holiday location where the surrounding bushland meets the coast. 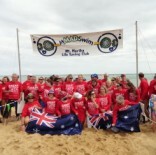 Take part in the Australia Day Swim at Mt Martha (MMAD!). There are 2 distances- 1.2km or 5km- or do both!. There is a great atmosphere at this event with thousands of swimmers and spectators celebrating the national day. In the afternoon we in indulge in the great Australia Day tradition - the BBQ! Morning coached swim at Prahran Pool followed by breakfast. 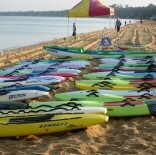 Today we take part in our 3rd Open Water swim race at Queenscliff. By now you will have made new swim friends. 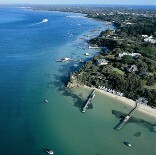 We will have lunch in Queenscliff before returning to Melbourne. Queenscliff is surrounded on three sides by water, giving the town large stretches of coastline, consisting of a combination of sandy beaches, rocky outcrops, cliffs and historic piers. At Shortlands Bluff is the Queenscliff Lighthouse which was built in 1862 and includes a lookout near the base. Further north along the coast is the Black Lighthouse, unique in Australia, having been constructed from bluestone. Sadly it is time to say good bye. Tour cost $2,450pp twin share (subject to change). Single supplement on request.